Local politician Adele Morris, who was initially involved in trying to resolve the issue, described it as a "tricky situation". "Residents were very distressed to suddenly discover they had no privacy at all in their homes," she told Dezeen. "Nobody had anticipated that people would literally be hanging over the balcony and taking photographs of their rooms and then posting them on the internet." Morris has been involved in discussions between Tate and Neo Bankside's developer, Native Land, to try and find a solution. Options included adding one-way film across the glass windows of the apartments, installing plants on the viewing deck, or closing one section completely. "Somebody needs to do something and that somebody is probably Tate," said Morris. "I sympathise with them, because they had all the necessary permissions – nobody has done anything wrong in planning terms." "But people hadn't realised how the terrace would be used," she continued. "They were aware there was going to be a terrace on the 10th floor, but no one imagined for one moment that people would go up there and focus attention directly into their homes." Since the platform opened, visitors have been sharing their photographs on social media channels. Speaking to the Mail on Sunday, one resident described the experience as "terribly intrusive". "I bought this apartment because of the view but now I have to keep my blinds down whenever the platform is open, otherwise you get people waving at you," the homeowner told the paper. "If I had known what it would be like, I would never have bought a flat here. Now I think I would struggle to sell it." 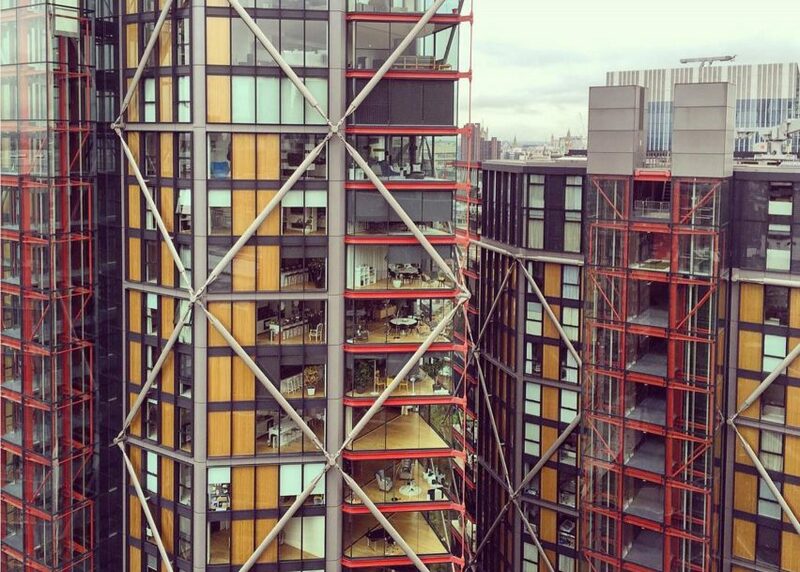 Rogers Stirk Harbour + Partners won planning permission for Neo Bankside in 2007. Its first six towers were completed in 2013, with homes selling for as much as £19 million. The project came under fire last year when it emerged that it did not achieve its affordable housing target. The figure was 27.5 rather than 40 per cent, prompting Guardian critic Oliver Wainwright to brand it "a dangerous precedent". Tate was granted planning permission for the Switch House in 2009, two years after Neo Bankside. The gallery has now issued a statement insisting that residents were consulted throughout the development of the project.